God is moving in powerful ways through Adventure Church. Located in Fresno, California, the most impoverished city in the US, per capita, Adventure was born 6 years ago as a vision and prayer shared around a table of 10. Today, over 1,000 people walk through the doors of Adventure Church any given weekend. We recently had the chance to speak with Campus Pastor Mike Cook, who gave us the backstory on the church's exciting growth, especially when it comes to giving. While attendance skyrocketed in the last few years, Adventure Church wasn’t seeing the same kind of growth in giving. Prior to switching to Kindrid, they averaged $3,500 to $5,000 a month in total online giving, mostly in the form of large gifts from the same givers, month after month. The average person at Adventure is about 30 years old so carrying around a checkbook is out of the question and with the church's old interface, online giving just wasn’t catching on. In mid-May of 2016, Adventure Church decided to switch to Kindrid. During those first 4 months, Mike reported an increase in total giving of $19,000 a month, with more than $110,000 in digital gifts from June to October, months that are traditionally the lowest in giving! Before Kindrid, the majority of gifts were given in cash. Today, those people text their gifts and set up recurring gifts online—and the takeaway is clear: giving consistency increases generosity. In addition to increasing digital gifts by more than 131%, after switching to Kindrid, Adventure Community's total giving is up 73%. We almost tripled what we were doing before. But in addition to that, the most important thing is that we're grabbing the average Joe and making it easy for him to tithe. We're picking up at least 2-7 new people a month that are giving for the first time because it's so easy. We asked Mike why he thought using Kindrid led to an increase in new givers. Mike emphasized that for the 30-something demographic that makes up most of the congregation at Adventure Church offering a text giving option speaks their language. It’s easy and simple and empowers givers to be generous with a device they use every single day. If an increase in total giving and an easier way for new and regular givers to support your church’s mission sounds like a good change to you, it might be time to make the switch to Kindrid. Tip #1: Add a slide with your custom Giving Number and some basic instructions to your pre-service slideshow. Make sure you put it up every week to remind people there’s a new and easier way to give and so they have quick access to your Giving Number. Tip #2: Offer a few verbal reminders every few weeks during the first 6 months of launching Kindrid. 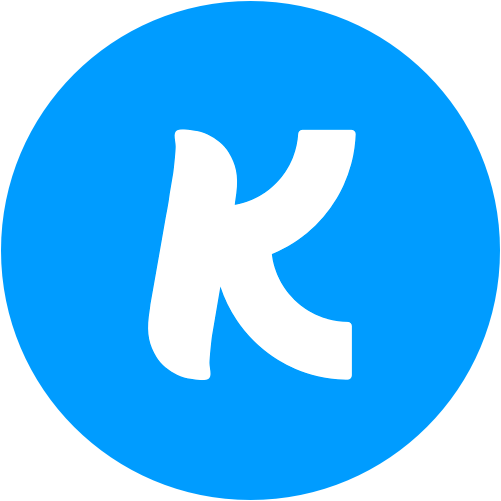 Tip #3: Make sure there are a few people available to help new givers troubleshoot any questions they might have about giving online and by text, and be sure to take advantage of Kindrid's awesome support team too.